From Fluoride in the water to GMOs, you are constantly faced with having to consume toxins. To make matters even worse, electric power lines, wireless devices, and other electronic devices also emit electromagnetic radiation that is harmful to the body. While modern researchers do not like to admit that cell phones can cause brain cancer, or that power lines also pose a danger to health and wellness, the fact remains millions of people are sick and don’t always know why. Today, a growing number of people are also finding out that Schumann Resonance Generators can restore health and help to maintain it. As you may be aware, the Earth has a magnetic core, and a part of the atmosphere (the ionosphere) that carries an electrical charge. Since magnets always emit a characteristic field of force, it should come as no surprise that there are background, or very low frequencies of electromagnetic radiation are produced by the Earth, and they are enhanced by lighting strikes. In modern scientific research, the Schumann Resonance is used to track global weather patterns, lightning strikes, and other large scale global patterns. Unlike the haphazard and unusual electromagnetic signatures emitted by modern electrical devices and power lines, the Schumann Resonance frequencies are as old as the planet itself. As such, they form a natural part of the environment that living things have been experiencing since the beginning of time. This, in turn, makes the Schumann Resonance something that your body is not just adapted to, but attuned to for optimal health. The Schumann Resonance was predicted by George Francis FitzGerald in 1893. He realized that a charged ionosphere must exist, and that it must also be generating a predictable frequency because it essentially encased a spherical magnet (the Earth’s core). He predicted that this frequency would be around 10 hz. It would take well in the 1950s and 1960s for Winifred Otto Schumann to develop the wave guide calculations that are still used today to study this phenomena. Over the last few decades, it has been determined that the Schumann Resonance is most often at 7.83 hz, which is referred to as the standard wave for our planet. The Schumann Resonance also has distinctive peaks that occur at 14.3, 20.8, 27.3 and 33.8 Hz. Today, conventional researchers are looking at the Schumann Resonances primarily in relation to large scale weather patterns. While modern medical researchers say very little about this topic, healers that specialize in energy medicine have discovered that the Schumann Resonance is very important to gaining and maintaining good health. Interestingly enough, some things that we know about the human brain and different states of consciousness are closely tied to the Schumann Resonance. • Beta – this is the normal frequency your brain operates at during normal waking hours. It is also the frequency where you are likely to experience the highest stress levels and the most overall distress. The Beta frequency of the human brain is between 12.5 and 30 hz, and three of the Schumann Resonances also fall within this range. • Alpha – Even though we spend most of our waking hours in the Beta state, Alpha is superior in terms of the ability to relax and come up with better solutions to problems. 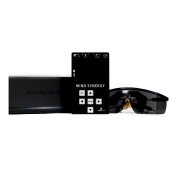 It is also the brain frequency that is optimal for healing and restoring vitality. Quite by coincidence, the Alpha frequency of the human brain is 7.5 – 12.5 hz. As you can see, the Schumann resonance that is most common to the planet Earth corresponds precisely with the Alpha brain state that is optimal for well being. 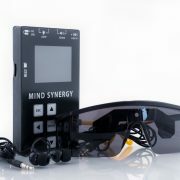 • Theta – this stage is usually part of a normal sleep cycle, and its frequency is 4 – 8 hz. This stage is usually referred to as early sleep, or when you will feel most drowsy. Depending on the researcher or healer, some prefer that the patient be in the Theta state as they claim it is more conducive to accelerated healing. As you can see, it is entirely possible for an individual to match the Schumann Resonance and actually be in Theta. It should also be noted that there are some who claim we learn the fastest, and can be “programmed” to change our habits most easily if the task is approached while in Theta. • Delta – usually, you will enter this stage during deep sleep, as well as in some very deep meditations when guided by binaurals. The frequency range for Delta is 1 – 4 hz. Even though this is outside of the Schumann Resonance, the Delta state is still important for good health and well being. Why Is it So Important in the Modern World? Have you ever noticed that watching TV, listening to the radio, or even talking on the phone somehow makes you feel drained and tired? If so, you may be blaming the phenomena on all the negative and upsetting things that are being communicated via these methods. While there may be a truly disruptive mental and emotional signature to the information that you receive, there is a hidden factor that may be causing you even more problems. In the arena of music, generating harmonious sound occurs based on mathematical patterns. Up until 1953, the worldwide reference frequency was 432 hz, which is in perfect alignment with the standard wave of this planet (to see this you have to calculate the frequencies for different musical notes and their alignment on the musical scales). During WWII, Joseph Goebbels used 440 hz to brainwash as well as to create disruption, anger, distress, and other assorted mayhem. Strangely enough, in 1940, the United States abandoned 432 hz as the reference frequency; and then the rest of the countries adopted it in 1953. Even though a few hertz may not seem like much difference, mathematically this frequency does not align properly with our planet, and also does not align with optimal brain function. Since very sound from these devices is literally attacking your brain, it should come as no surprise that you feel irritated, drained, and powerless. Today, there is no end of chaos, disruption and discord that prevent most people from overcoming the temptation associated with consuming and using an endless array of toxic products. On the other hand, when people’s brain function is no longer being attacked by an incorrect reference frequency, there is a chance to recover and pursue better options. There is also a chance for the brain to direct the body in directions that promote healing and well being instead of dysfunctional coping mechanisms. It is very important to realize that our bodies and brain all rely on electromagnetic signals that may or may not be based entirely in chemical interactions. As such, it become very clear that if electromagnetic fields can impact each other outside the body, they can impact what is going on within. Modern researchers have found out that using a Schumann Resonance generator can actually cancel out all the harmful effects of electromagnetic emissions that are not in line with the Earth’s natural resonance. No matter whether you are living near power lines, or have to work around WIFI devices, a Schumann Resonance generator can prevent all these harmful emissions from reaching your body. Have you ever stepped into the shower without first checking the water temperature? Did you wind up suddenly being pelted by water that is too hot or too cold? If so, then you can well understand how your body and mind feel when they are constantly pelted by electromagnetic frequencies that are too high for optimal well being. 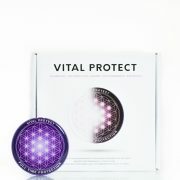 Vital Protect is a highly effective Schumann Resonance Generator that will surround your body (or home) with a frequency of 7.83 hz. Since the generator is more powerful than the frequencies being aimed at you, they will not be able to get through the shield created by the generator. As your body is bathed in an optimal frequency, it has a chance to recover and heal from all the damage created by being exposed to dangerous frequencies. This, in turn, will lead to a reduction in stress, anger, aggression, and unhappiness. It will also improve your physical health and sense of well being. The scientific research has shown that using a Schumann generator device helps your body resist and become immune to the effects of non-natural electromagnetic radiation forms. 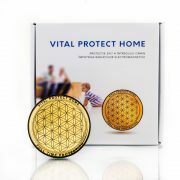 Also, this type of protection reduces the risk of tumors and other diseases in children. Ever since Darwin came along and told us that humans evolved from primates similar to monkeys, scientific and religious arrogance have known no bounds. While modern science should readily adapt to the idea that the human body evolved in such a way that it is attuned to the Schumann Resonance of the Earth, very little is said about its impact on human health. Sadly, these same scientists are busy creating even more devices that emit harmful electromagnetic radiation; and people are becoming less able to recognize the problem and takes steps to overcome it. If you have been trying all kinds of different ways to overcome illness and maintain well being, it may be time to give Schumann therapy a try. At the very least, when you realign with the natural frequencies of the Earth, there is a chance that your body and mind will feel less distress and have more resources for pursuing well being and vitality. Share this post "Advantages of Using Schumann Resonance Generators for Health and Wellness"